From I Love You Like A Brother, out now on Dead Oceans. I’m an only child so I don’t totally get the whole sibling thing. But it looks like Melbourne’s Alex Lahey gets along really well her little brother. 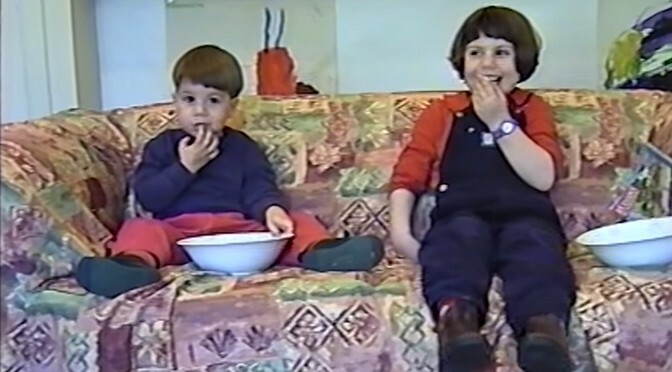 The video combines old footage of them as kids with current scenes of them hanging out and goofing off together like, I suppose, only siblings do. This is just the second Alex Lahey song I’ve heard (after “Every Day’s The Weekend”), but based on these two songs I think I’m going to have to check out the album. She’s obviously awesome. Alex Lahey: web, twitter, amazon, apple, spotify, wiki.